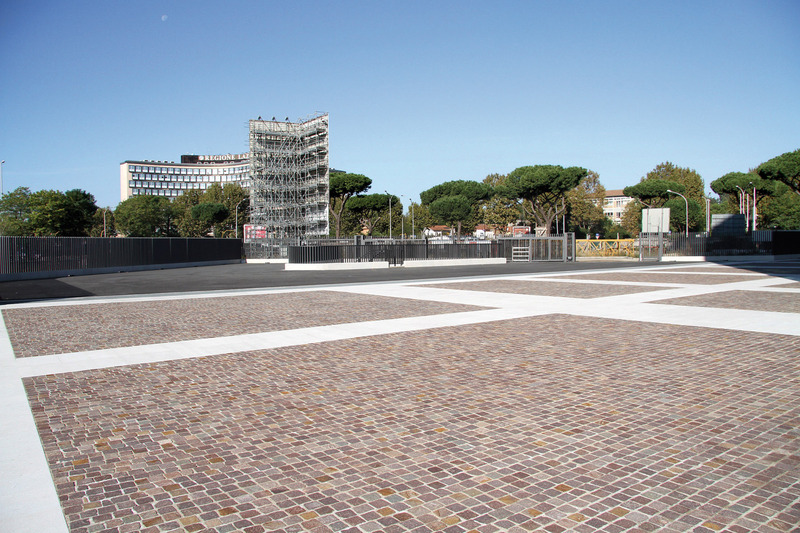 Porphyry cubes were used in a large urban project in Rome. The Piazza dei Navigatori is a Roman square located along Via Cristoforo Colombo, one of the main roads in the city of Rome because of its size, its role as a link between the city center and the sea and its importance to the city. The objective pursued during the work was to redefine all the gardens, the pedestrian area and a whole series of other operations. Reworking this area to prepare for development involved new circulation of existing roadways in order to accommodate vehicular traffic and pedestrians and reimagine the landscape. The commercial/hotel project shown here was part of the overall development. Porphyry cubes are cube-like shaped paving elements obtained by means of mechanical splitting, with natural surface. Cubes are made in different sizes on the basis of the thickness of the slabs from which they are made, i.e. : 4/6 – 6/8 – 8/10 – 10/12 – 12/14 and 14/18. (all dimensions in centimeters) They are classified into irregular cubes (irregular visible surface and thickness), used for overlapping arcs patterns and concentric patterns, and fixed dimensions cubes (10x10cm cubes), used for parallel row patterns. The smaller sizes are more suitable for pedestrian areas, while the largest ones provide a better alternative for transiting of heavy traffic and wherever you want to recreate the sense and feeling of the paving of ancient times. 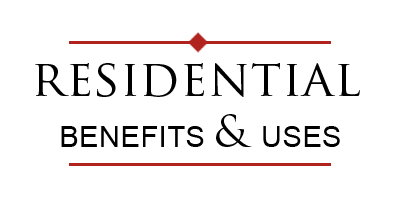 The most widespread pattern for laying is overlapping arcs. For courtyards and town squares, cubes may also be used in parallel rows. Peacock tail or circular patterns can be laid using different porphyry colors or even with other types of natural stone to enhance the porphyry’s aesthetic appearance. In this project, Porphyry natural surface cubes with cut sides (size 10×10 cm and thickness 4/6 cm), were laid in parallel rows bringing out the best in an area of about 5,300 m2 and combining the Square with the park in a harmonious manner.